One of the great original voices of our times—a pilgrim in search of beautiful innocence. 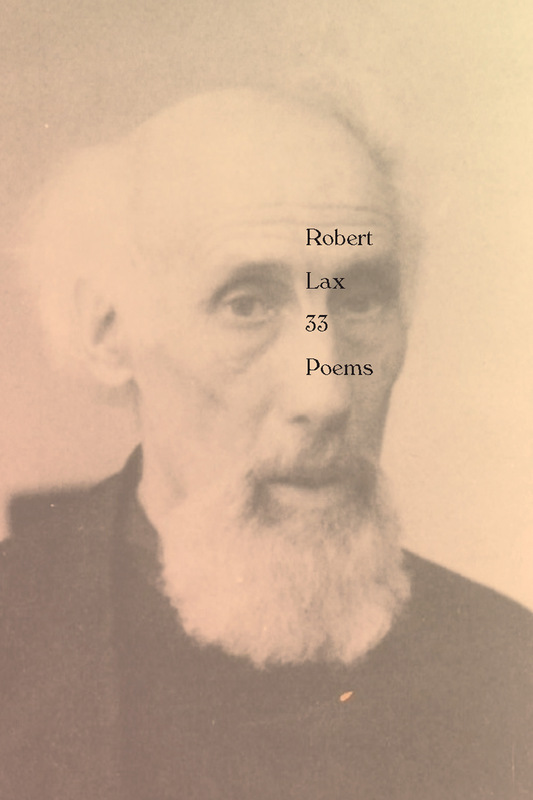 The American poet Robert Lax belongs to the generation of Thomas Merton, Beat poetry, Abstract Expressionism, and the compositions of John Cage. Yet he stands out as this era’s most intriguing minimalist poet, gaining this reputation through a constant questioning of the universe and our idea about it. His poetry varies from fables and parables to clear-cut columns of words, from his account of a day at the circus as a vision of creation to his own insistent and mystical search for truth. 33 Poems presents the quintessential gathering of Lax’s work, including Sea & Sky and The Circus of the Sun, “perhaps the greatest English-language poem of this century” (The New York Times). To the best of my knowledge, a saint is simply all the things that he is. If you placed him among the Old Testament figures above the south portal of Chartres, he wouldn’t look odd. His poems are sleight-of-hand demonstrations. I don’t know any religious writing that moves me as much or is as persuasive as the prose communication with the unseen, unknown, unanswering but felt fountain-source of his belief.